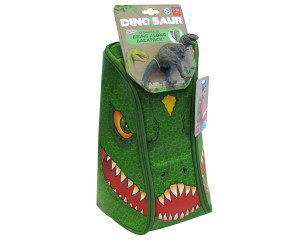 With the ZipBin® Dinosaur collection, kids can play with their dinos everywhere – and there will be no mess. 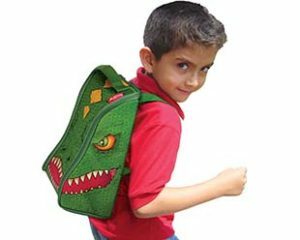 The ZipBin® Dinosaur Backpack comes in the format of a ferocious dinosaur head. 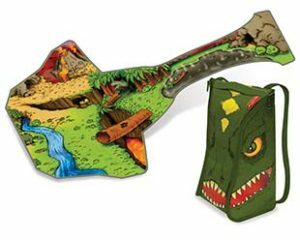 It is the perfect place to store and play with the Tyrannosaurus Rex that’s included. Unzip the backpack to reveal a prehistoric jungle. When it’s time to go, pack-up your dinos, zip up your backpack and throw it over your shoulder. Made from highest-quality, durable, easily-cleaned materials.